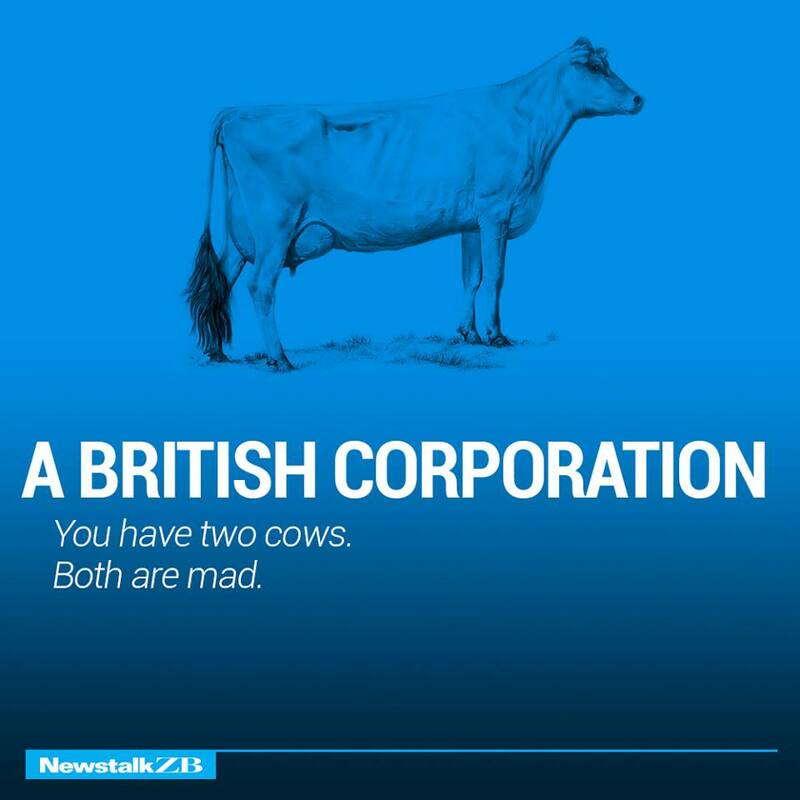 · You have two cows. 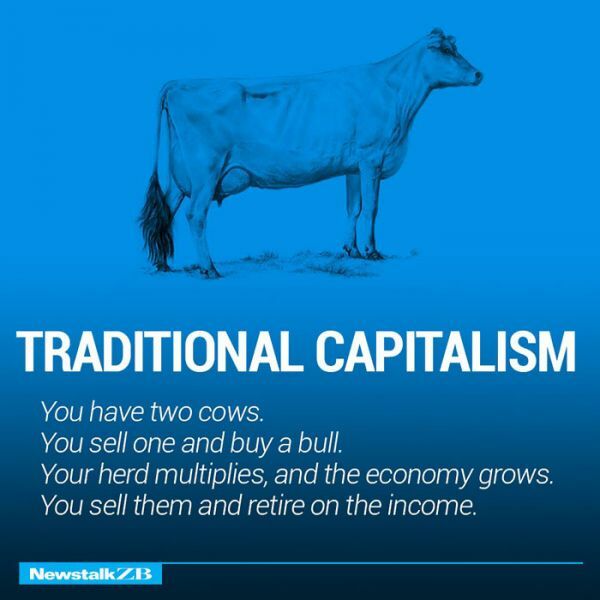 · You shell one and buy a bull. · You herd multiplies, and economy grows. 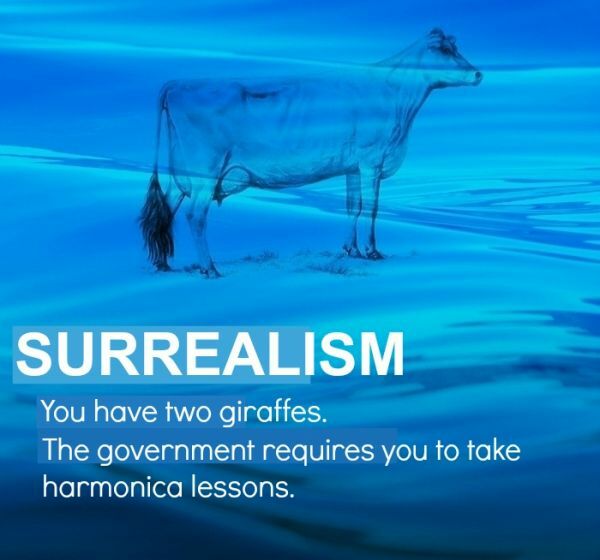 · You have two giraffes. · The government requires you to tale harmonica lessons. 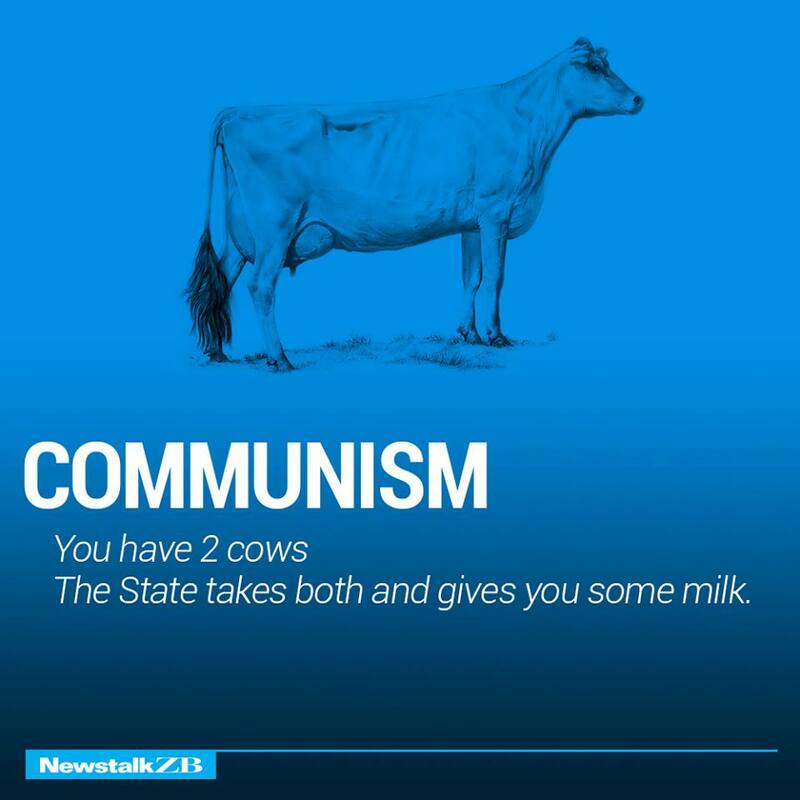 · The State takes both and gives you some milk. · You have 2 cows. · You give one to your neighbor. 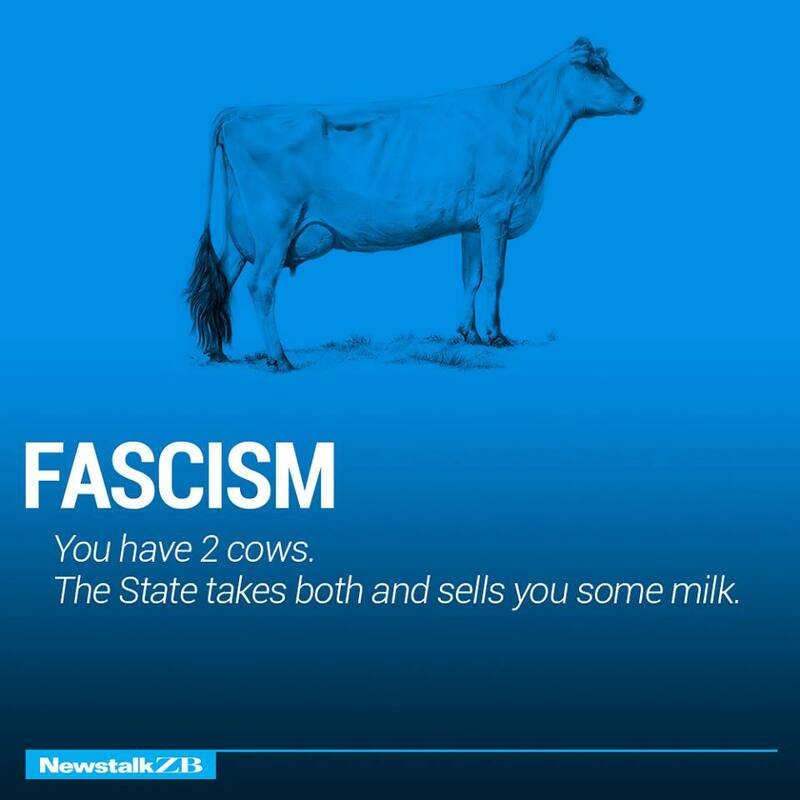 · The State takes both and shells you some milk. 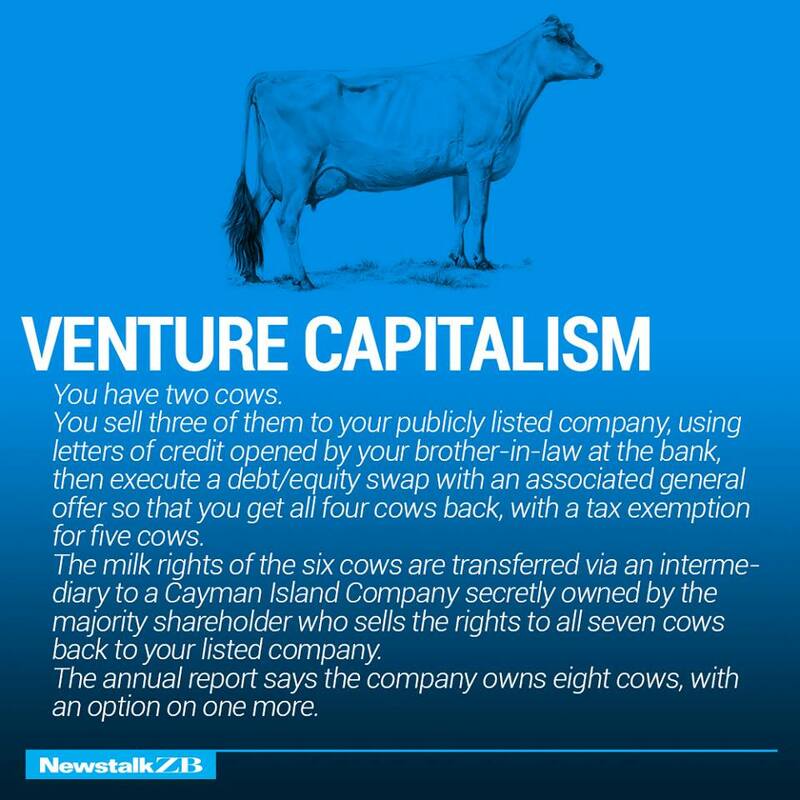 · You sell three of them to your publicly listed company, using letters of credit opened by your brother-in-law at the bank, then execute a debit/equity swap with an associated general offer so that you get all four cows back, with a tax exemption for five cows. 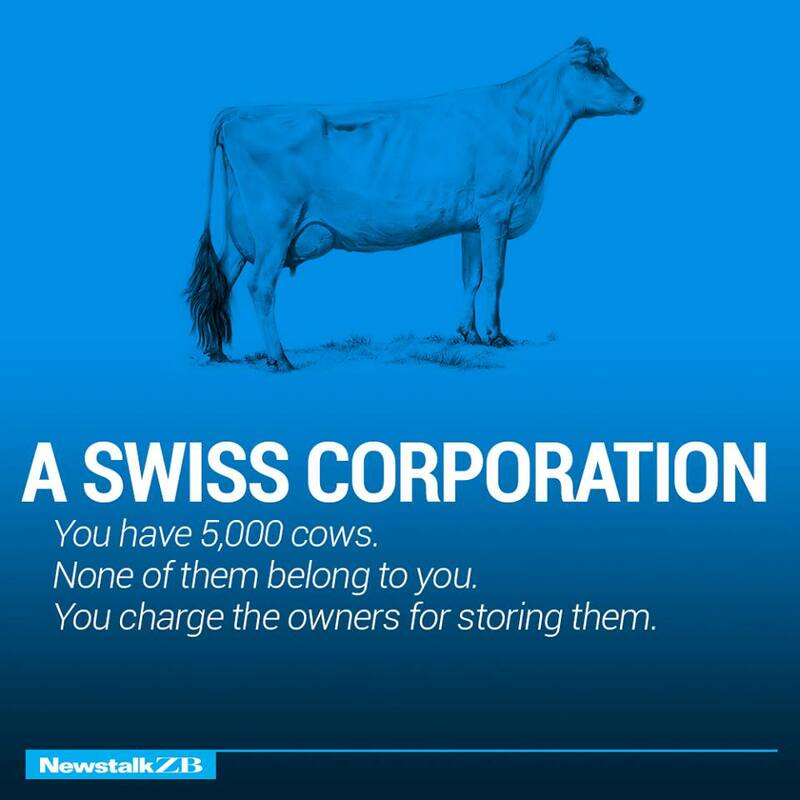 · The milk rights of the six cows are transferred via an intermediary to a Cayman Island Company secretly owned by the majority shareholder who dells the rights to all seven cows back to your listed company. 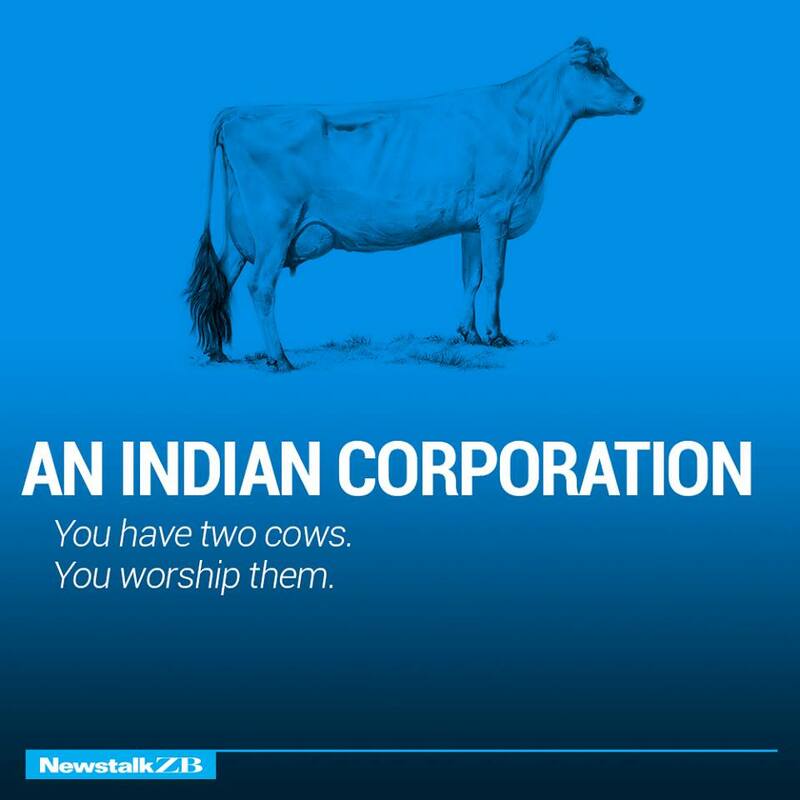 · The annual report says the company owns eight cows, with an option on one more. 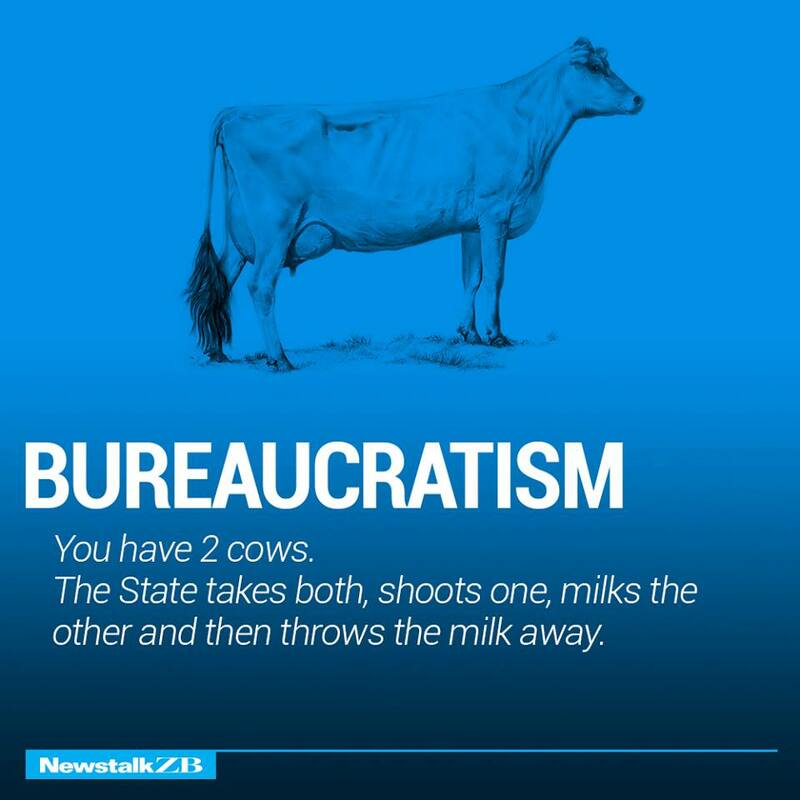 · The State takes both, shoots one, milks the other and then throws the milk away. · You shell one, and force the other to produce the milk of four cows. 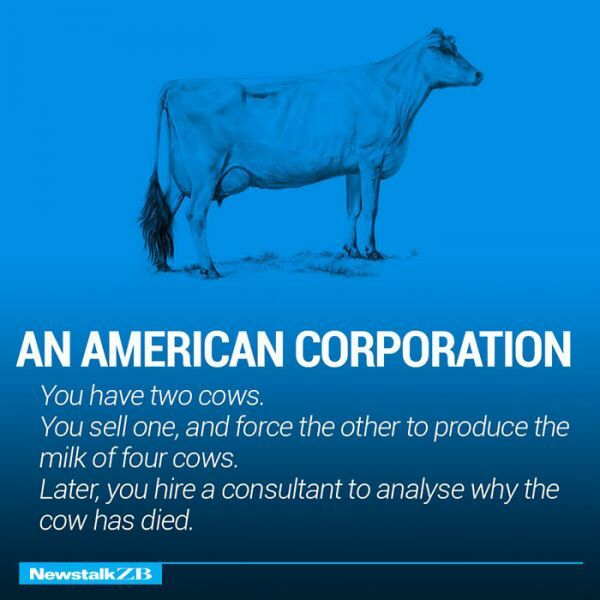 · Later, you hire a consultant to analyse why the cow has died. 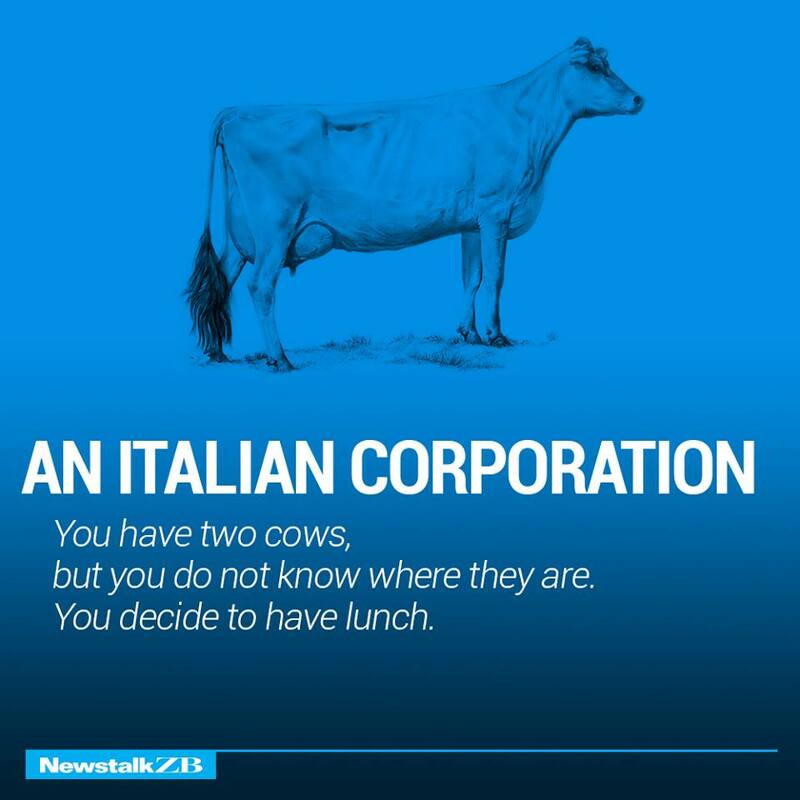 · You have two cows, but you do not know where they are. · You decide to have lunch. 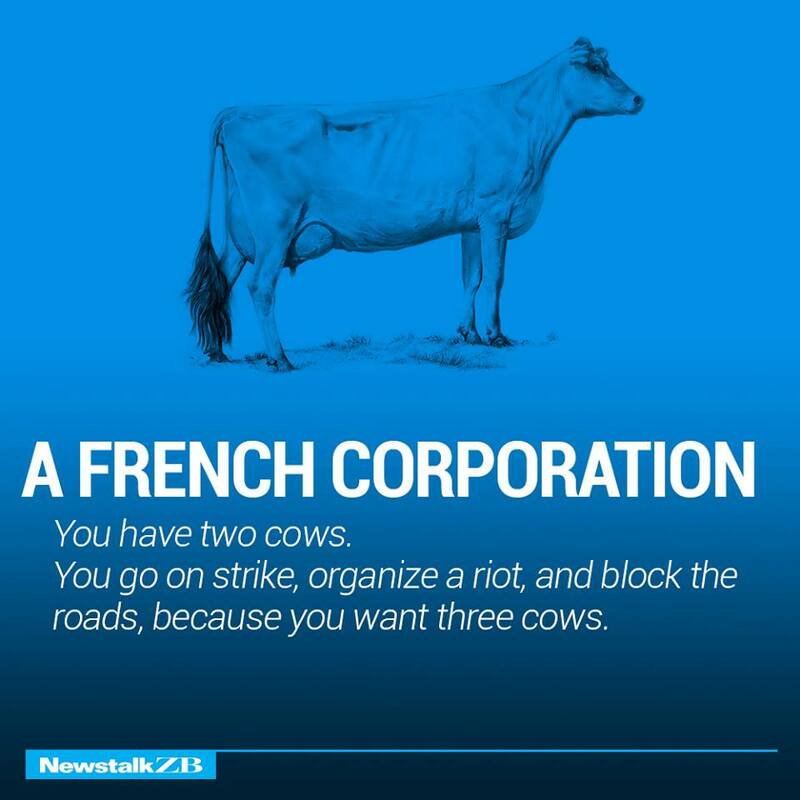 · You go on strike, organize a riot, and block the roads, because you want three cows. · You have 5,000 cows. · None of then belong to you. · You charge the owners for storing them. · You have two cows borrowed from French and Germn banks. · You eat both of them. · The bankc call to collect their milk, but you cannot deliver, so you call the IMF. 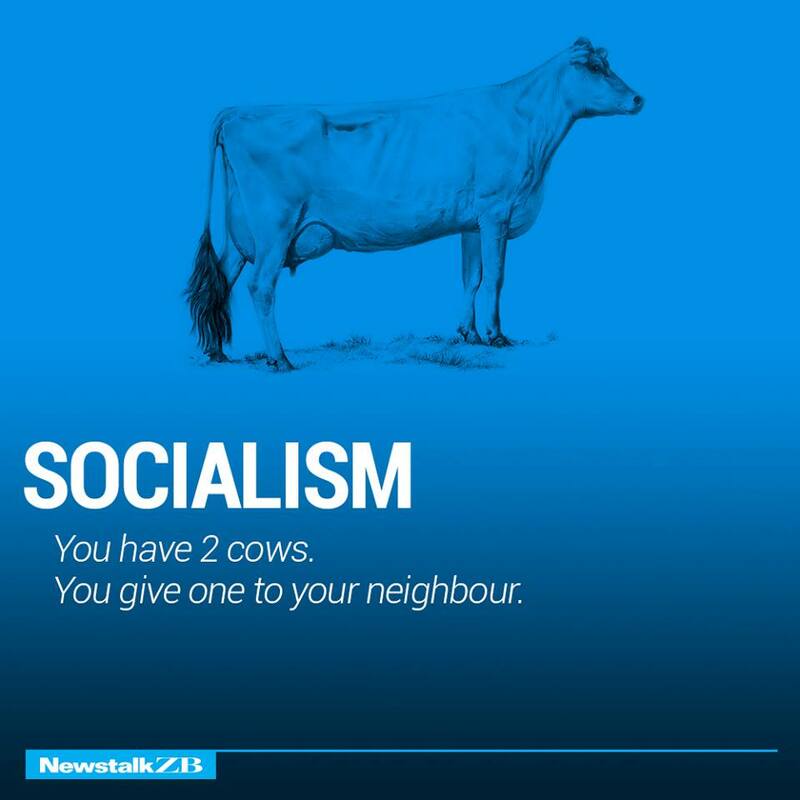 · The IMF loans you two cows. 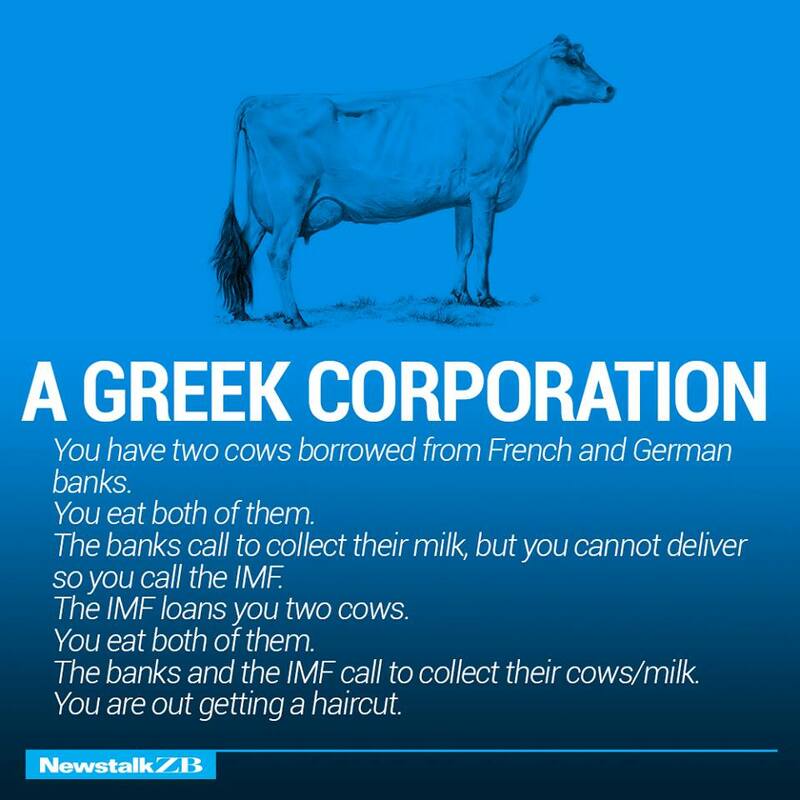 · The banks and the IMF call to collect their cows/milk. · You are out getting a hair cut. · One of them is a horse. · Business seems pretty good. · You close the ofice and go for a few beers to celebrate. · You have 300 people milking them. 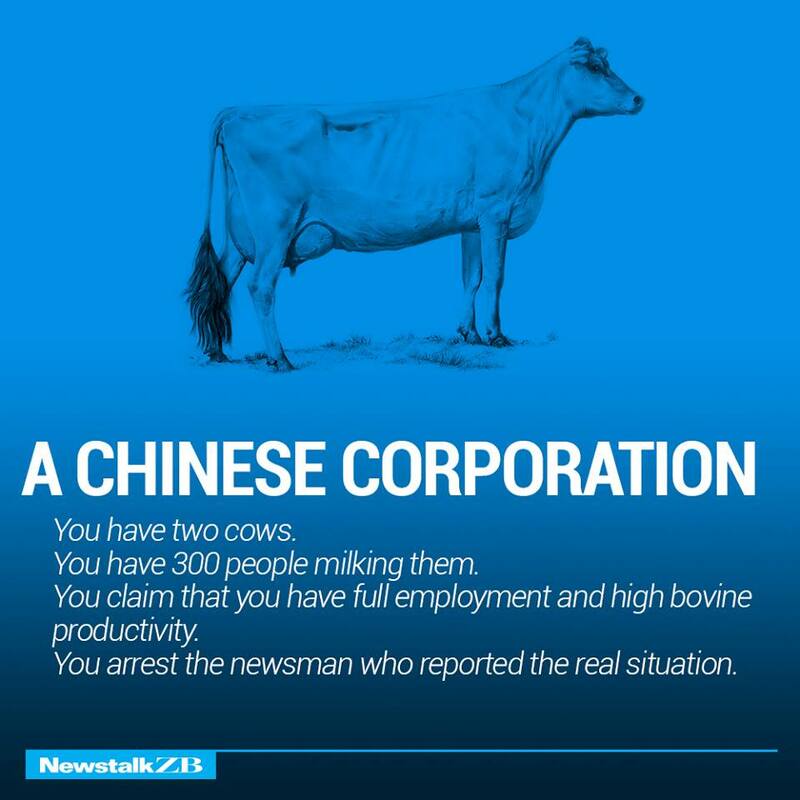 · You claim that you have full employment and high bovine productivity. · You arrest the newsman who reported the real situation. · Everyone thinks you have lots of cows. · You tell that you have none. · Nobody believes you, so they bomb the crap out of you and invade your country. 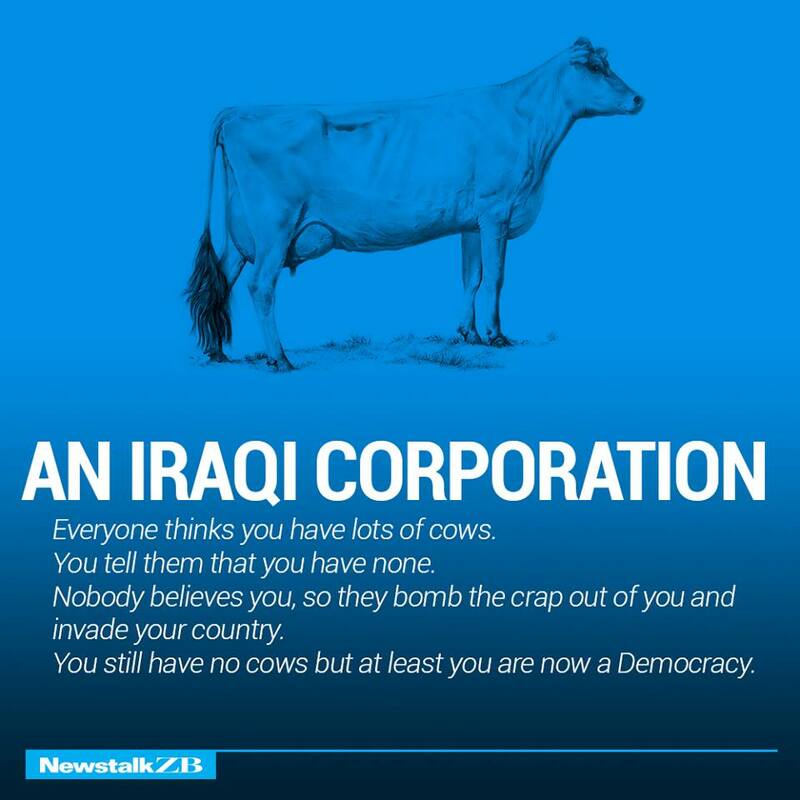 · You still have no cows but at least you are now a Democracy.